No one knows exactly how or when cats got to Little Barrier. Andreas Reischeck noted cats were “very numerous” on his visits to the island between 1880 and 1885. The resident rangers killed cats, but taking out 10 to 40 cats a year didn’t so much as dent their population. Cats made a massive dent in the bird population though. 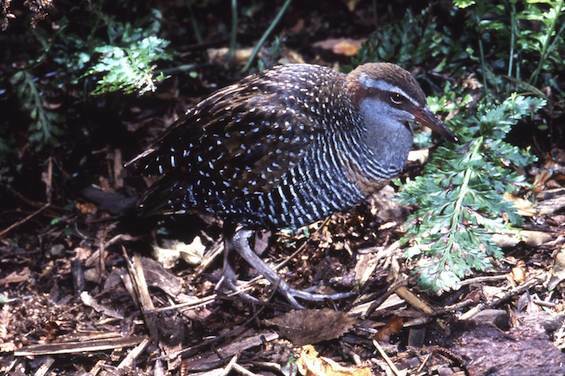 By the 1960s, the Little Barrier snipe was extinct, and the saddleback and banded rail had disappeared from the island. Cats were the prime suspect in these loses, and in the decline of the tuatara, and lizard and seabird species on the island. The Wildlife Service (now part of DOC) started Operation Kill the Cats in 1968. The next 10 years saw a reduction in numbers, but no eradication. The lessening cat numbers allowed black and Cook’s petrels to recover a bit, but it was still easy to count 40 freshly cat-eaten Cook’s petrels on a single walk to Hauturu’s summit in March or April at that time. In 1976 the operation stepped up a gear. 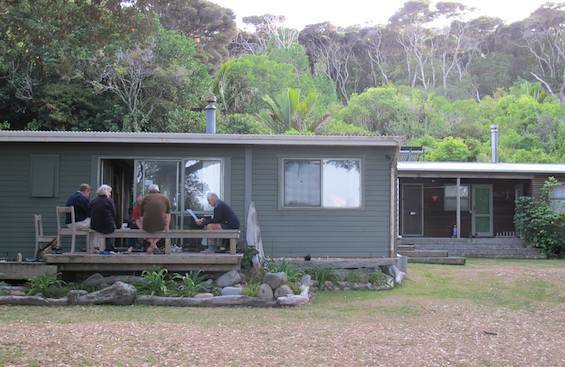 Wildlife Service and Hauraki Gulf Maritime Park staff agreed on a joint approach—the Park would build huts and cut tracks and the Service would kill the cats. The plan called for three new huts and 70 km of tracks. Park Ranger, Dave Smith, and Assistant Chief Ranger, George Holmes, supervised the hut building and got three-quarters of the tracks cut by 1977. 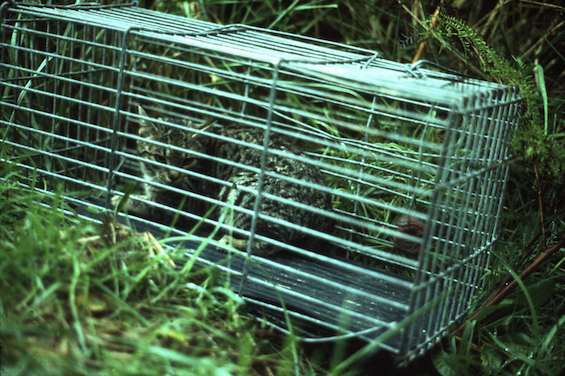 The Wildlife Service finished off the tracks and began getting rid of the cats in 1978. The island rangers and Dave’s successor Alex Dobbins and their families were the stars of the operation. They managed the comings and goings of cat trappers and boats, and got people out to the huts. The ranger’s house was frequently invaded, particularly for important TV events such as rugby matches! Cat hunting was done by two teams. Team 1, managed by Richard Anderson, was mainly people from Northland. I managed Team 2. Various government unemployment schemes, a line up of willing volunteers, Wildlife Service trainees and even the occasional paid person provided all the muscle for the job. All up 139 people were involved. The plan was to do a bit of poisoning and a lot of trapping in the first year, then bring in dog teams – we all know how dogs love to hunt cats. The dogs did well in training on the mainland but did not even hint at scenting a cat on the island. Day after day we walked those tracks without the slightest sign of action. The dog team was quickly disbanded! We now know there were still at least 23 cats on the island. Who knows why the dogs couldn’t smell them. 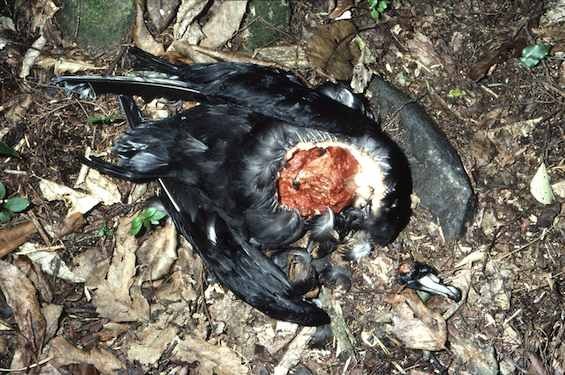 So the trapping and poisoning continued. We walked the tracks and mapped the locations of cat signs. Slowly the mapped information showed each cat being trapped or poisoned, until the last cat was trapped on 23 June 1980. Te Hauturu-o-Toi/Little Barrier Island lies 80 km north of Auckland city on the outer edge of the Hauraki Gulf. You need a permit to visit this thickly forested island that is home to over 350 native species of plants. It’s an incredible place to view wildlife.